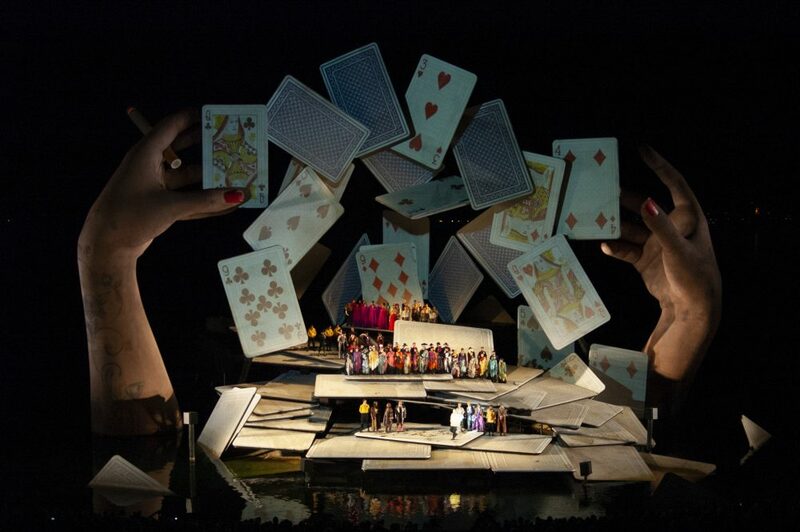 BREGENZ, Austria – Lawo announced its Lawo mc²96 console was installed on the “Floating Stage” at Lake Constance to support sound reinforcement and directional listening systems for a run of Georges Bizet’s “Carmen” at the annual summer Bregenz Festival. Lawo, manufacturer of pioneering network, control, audio and video technology, announced that its new Lawo mc²96 console has been installed in Bregenz, Austria, to support sound reinforcement and directional listening systems for a sold-out run of Georges Bizet’s “Carmen” at the annual summer Bregenz Festival, taking place on the “Floating Stage” at Lake Constance. The previously installed Lawo systems simplified an upgrade of the production console, which plays an important part in the production’s remarkable use of sound as a complement of the on-stage performance.